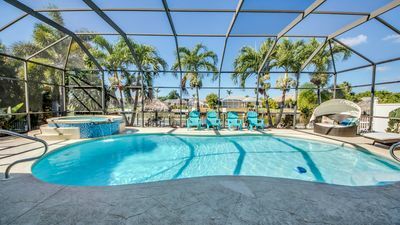 THE BEACH HOUSE your ultimate vacation destination in Fort Myers Beach with exceptional vistas over the Estero Bay and walking distance to the beach. 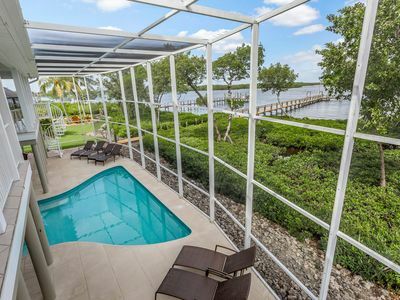 This high-end duplex with pool & spa, boatdeck marks all the boxes on your travel checklist. You can rent either side A RIGHT SIDE or B LEFT SIDE. 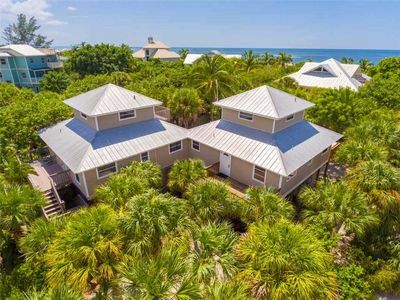 The perfect solution for 2 families or multigeneration travelers would be to rent out both house sides and have a huge vacation home with lots of retreat options. 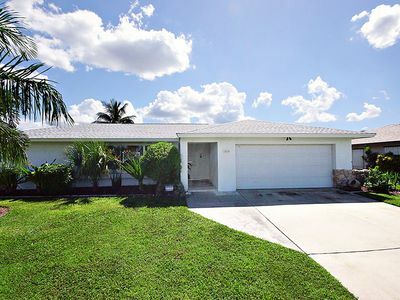 Enjoy the best of bay front and island living in this home! 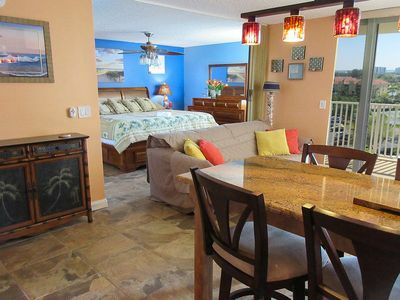 Discover Florida’s nature and piece from your luxurious facilities. 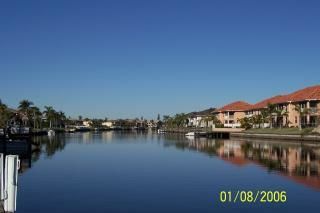 The view onto the Estero Bay is breathtaking and the endless pier is amazing and will wow you. You will find new amazing vistas from everywhere inside this spacious home that combines inside and outdoor living so well. 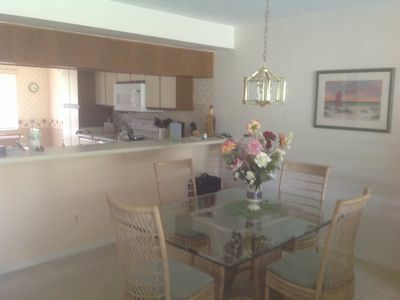 THE BEACH HOUSE is a modern 3 story home with 6238 sq ft living area under air condition. Every floor can be accessed by elevator or stairways. Both house sides have spacious balcony’s that can be separated as well. 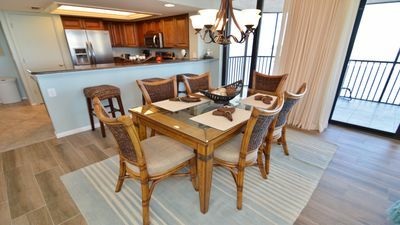 The pool deck is the common area and offers a pool and spa, 2 story screens, plenty of seating and sun chaises and a barbeque grill. . 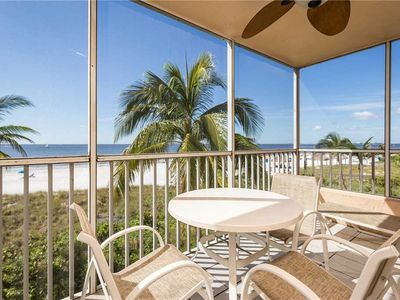 There is a seating area on the boat dock which spoils with 360-degree views over the bay, Estero and Fort Myers Beach and will certainly become one of your favorites spots. 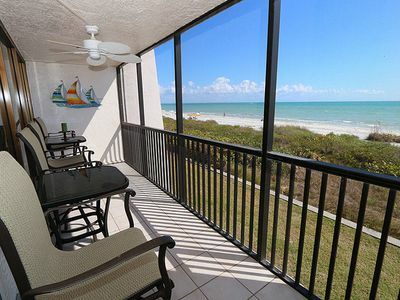 Fort Myers Beach is known for miles of white sandy beaches and the warm ocean waters of the Gulf of Mexico. The ideal beach for long walks, collecting shells, jogging and even biking. Grap some beach chairs and a good book and just relax. The water is very shallow and there is usually not much current, ideal for kids. 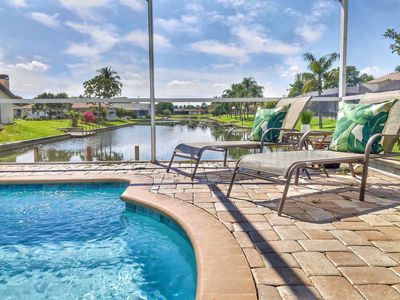 Beach, Boating, Golf courses, shopping, restaurants, nature, warm weather and sunshine throughout the year – this is your perfect vacation location. Grocery shopping is close as well as restaurants, movie theater and cafes. 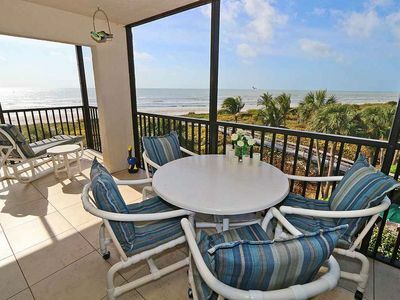 Drive Southbound and reach Bonita Beach and Naples within 20 minutes. 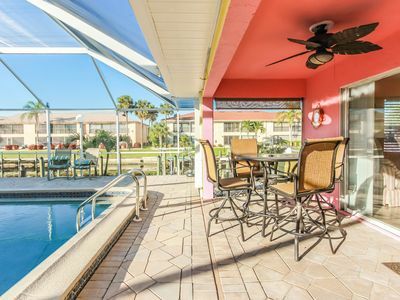 Or Northbound to downtown Fort Myers Beach with its pedestrian mile and plenty of restaurants, bars, ice-cream parlors, life music and the famous pier. 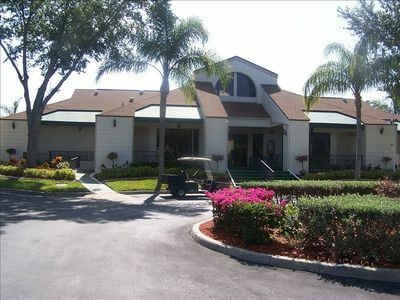 You can take the bridge to Fort Myers and explore the islands of Sanibel and Captiva or Cape Coral within short driving distance. Fort Myers Dowtown is another spot worth exploring. Multiple Outlets and Malls in your vicinity. 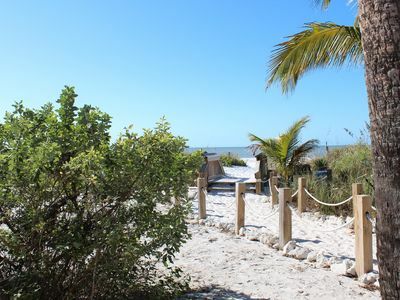 The Lovers Key State Park with kanu and bicycle rental and trolley to the beach is a mile away from your vacation home. 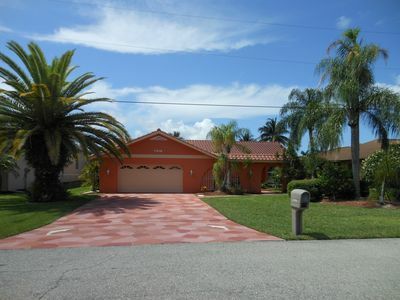 The right half of this luxurious home offers 4 bedrooms and 3 bath rooms. With its 3229 sq ft it is a little larger than the left side. The 3rd story contains of the spacious mastersuite that opens to the bayside as well as the laundry room along the gallery that offers views into the greatroom one story down. The mastersuite has a large bedroom with seating area and sliding doors to the balcony. Out here you almost have eagle views over the coastline and bay and will be spoiled with plenty of sunrises and sunsets. Furthermore, a bathroom with double sink vanity, shower and toilet and a walk-in closet. Total privacy on top of this villa. The main living area of the house is on the second floor and presents a greatroom and 2 more bedrooms, both with double beds. They share a bathroom with sink, shower and toilet. The open living area oversees the waterfront and has large sliding doors that open to the bay and balcony and offers expansive views. 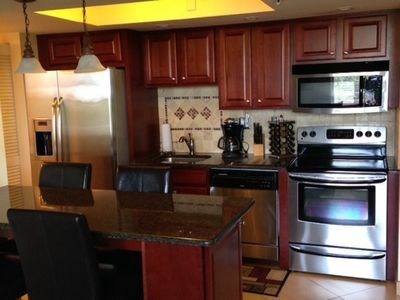 Centrally located the open fully equipped kitchen with breakfast bar and seating for 4. 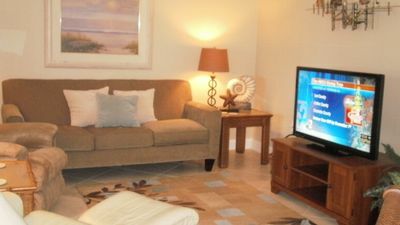 The living area has high ceilings and features comfortable couches a TV and large windows with mangrove vistas. The dining area along the sliders and seats 6. 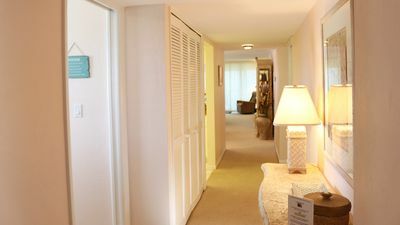 For additional guests there is an extra room on the main level with sleeper sofa for 2 as well as a bathroom. Furthermore, the ground level offers a spacious double garage with equipment for your beach day and access to the pool area. Share your vacation experiences instantly with friends and family via complimentary wireless high-speed internet. This unique vacation home combines indoor and outside living well, enter the balcony from your living room and use the spiral staircase to go to the ground floor pool area with patio and sun space. The pool and spa can be heated and there is a barbeque grill at your disposal. The perfect scenario to celebrate another beautiful vacation day. You are going to enjoy your walk down the long pier and the seating area in between the boat lifts. Florida lifestyle at its finest, watch the dolphins play and enjoy your surroundings. Or start your day by boat that can be rented separately and explore Florida’s coast. You are welcome to rent both sides of this luxurious house. Both sides are lockable and have separate entrances and garages. Upon request we can open the dividing doors on each level and create a single-family home, of course with 2 kitchens. 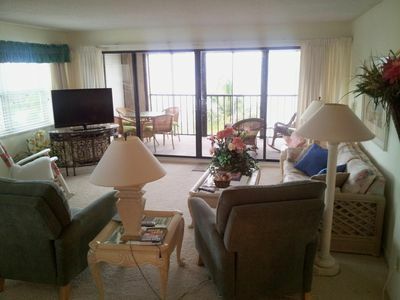 VERY SECLUDED 3 BEDROOM 2 BATH CONDO NEAR BEACH AND CLUB POOL WITH JACUZZI! 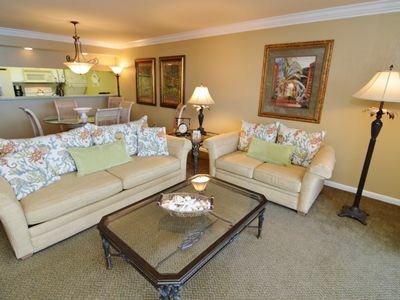 Newly Remodeled Estero Beach And Tennis Club 803C w/ Gulf View, Beachfront! Resort Pool! Tennis!